If you’ve ever worked in any kind of corporate environment, there’s a good chance that you’ve had to participate in some kind of team meeting. Even if you haven’t entered the corporate world, you probably got together to do group projects in school. Maybe you participated in some kind of local community program that involved collaboration with other individuals. While it is certainly appealing when all of your team members are on the same page, this may not ultimately be the best situation. You need conflict. 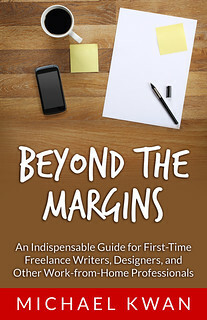 Even when it comes to a freelance writer like myself, I sometimes have to work with other freelancers or with my clients to come up the best possible results. Again, while it may be nice when we all agree with one another, this may not be the best route if you actually want to attain the best results. You need conflict, even though so many people work toward conflict resolution and the avoidance of confrontation. One of the themes that Marty Beckerman describes in Dumbocracy is that of the echo chamber. Birds of a feather flock together, so you oftentimes find yourself in the company of people with like-minded aspirations and values. By doing so, however, you enter the echo chamber as all of you are echoing the exact same sentiments, further cementing your conviction in these beliefs. By entering the homogeneous gloop of like-minded individuals, you can completely miss out on other opportunities and ideas. You all think alike, so you all come up with the same kind of ideas. There’s no variety. There is only one perspective and this can be very dangerous when it comes to any kind of project. You may not want to openly discuss your conflicts with people unrelated to the matter, but a properly controlled conflict among team members can foster an incredible level of innovation. It’s far too easy to get comfortable with the status quo when everything is peachy-keen and going as planned. It is only when things aren’t quite right or when people have differing opinions that we start to see fresh ideas and new perspective. When there is a conflict, people can be motivated to find suitable alternatives or compromises. These new ideas may have never been concocted had there been no conflict in the first place. Under a team brainstorming session, very rarely is the first proposal the absolute best one. It takes time to develop those ideas, melding in the suggestions of others to arrive at the best possible solution. You need to seek out a second opinion, because you may discover a perspective that may not have otherwise been considered. Think about this from a political point of view. Under a complete and utter dictatorship, the country is run with a one-track mind. With a democracy, the views of the masses are better represented and we are better able to find an answer that satisfies the greatest number of people. Debate is a good thing. In your own life, adversity is a necessity. The same can be said in a team environment, because while the experience may be slightly less comfortable, the ultimate result of the conflict can be a lot better. The different kinds of ideas and the different perspectives can battle it out to discover which is indeed superior, oftentimes leading more to a compromise than anything else. A team without conflict will not innovate and a perfectly like-minded group can only lead to collective ignorance. We don’t want that. This is straight from classes I took with McDonalds at Advanced Operations Course in Oakbrook. You never get good decisions without good debate or opposing points of view. It’s the ability to leave egos at the door and work for the greater good that is the tricky part. This is an incredibly valuable article. Great job. In a time where so many people eschew conflict, this message, this truth, needs to be out there. Thanks for reminding me that conflict is not bad … in fact, it is often necessary for success.